The week in photos: Selma memorial, Ferguson crime scene, and Derry bonfire. 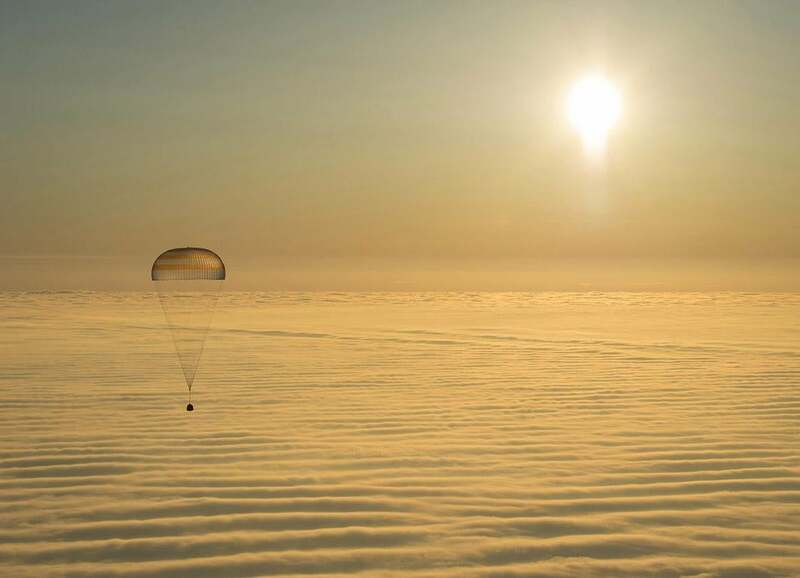 The Soyuz TMA-14M capsule with International Space Station crew members Barry Wilmore of the U.S., and Alexander Samokutyaev and Elena Serova of Russia, is seen above clouds as it descends beneath a parachute just before landing southeast of Zhezkazgan in central Kazakhstan, on March 12, 2015. 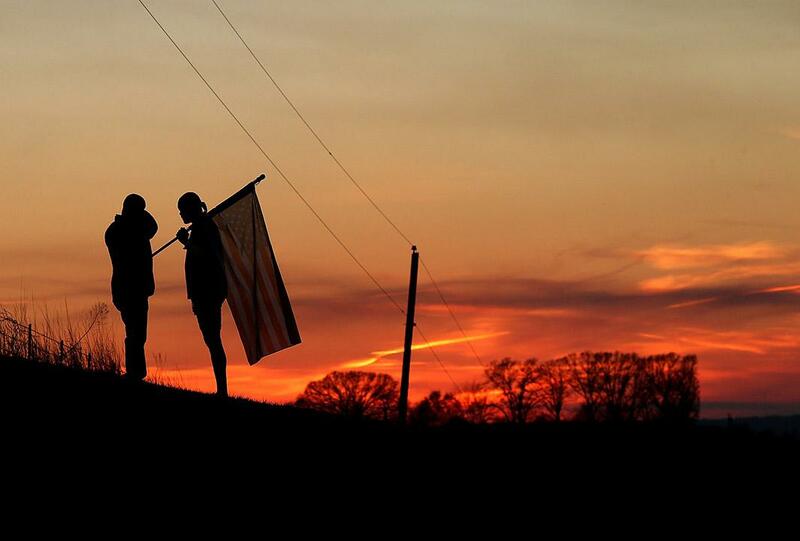 A visitor carries an American flag at the Viola Liuzzo memorial on the side of U.S. Highway 80 on March 7, 2015, in Lowndes County, Alabama. Viola Liuzzo was a civil rights activist who was shot and killed by the Ku Klux Klan while shuttling fellow activists to the Montgomery airport during the 1965 Selma to Montgomery march. Selma is commemorating the 50th anniversary of the famed civil rights march, which resulted in a violent confrontation with Selma police and state troopers on the Edmund Pettus Bridge on March 7, 1965. 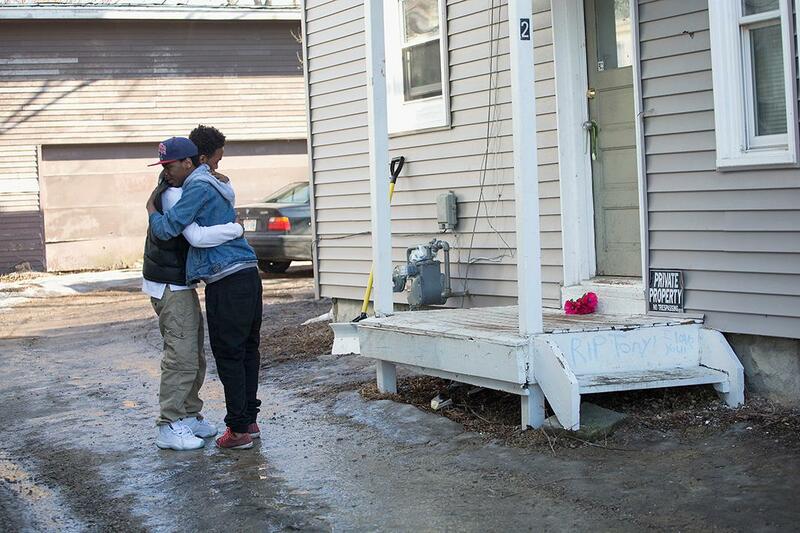 Titas Carter, left, and Kentad Solis, friends of 19-year-old Tony Robinson, comfort each other outside the home where Robinson was killed on March 9, 2015, in Madison, Wisconsin. Robinson was shot and killed by Madison Police Officer Matt Kenny during a confrontation on March 6. Robinson’s death has sparked protests in the city. 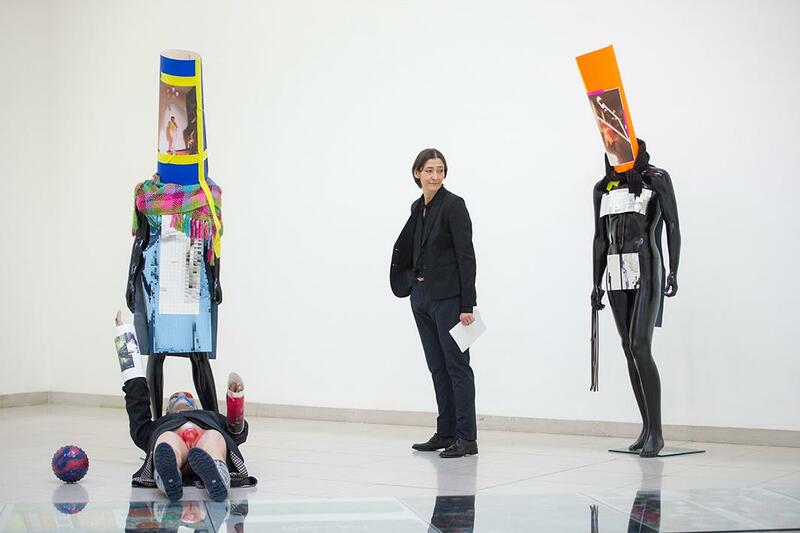 Susanne Gaensheimer, director of the Museum of Modern Art in Frankfurt, Germany, walks through an exhibition of sculptures by contemporary female artist Isa Genzken, on March 12, 2015. 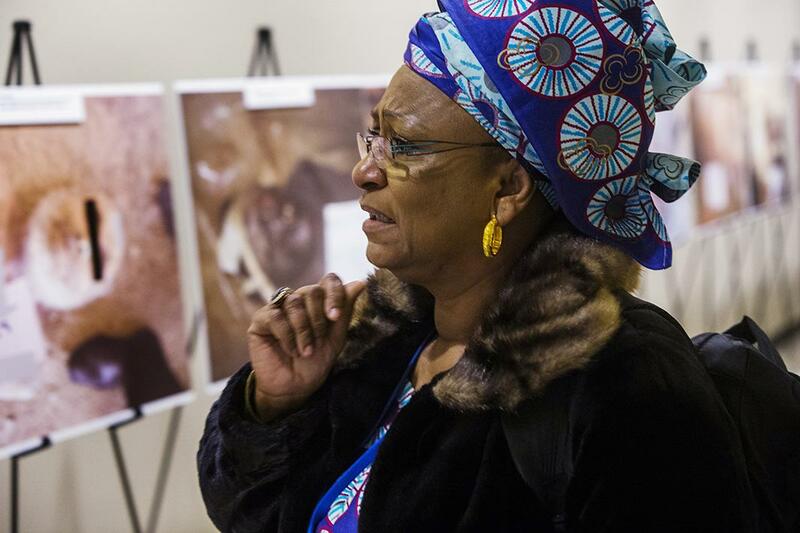 A woman walks through an exhibition of photos of the torture that has taken place inside Syrian authorities’ prisons, at the United Nations on March 10, 2015. The two dozen images on view were selected from the roughly 55,000 photographs taken by a former Syrian military police photographer codenamed Caesar and smuggled out of the country sometime between 2011 and mid-2013. 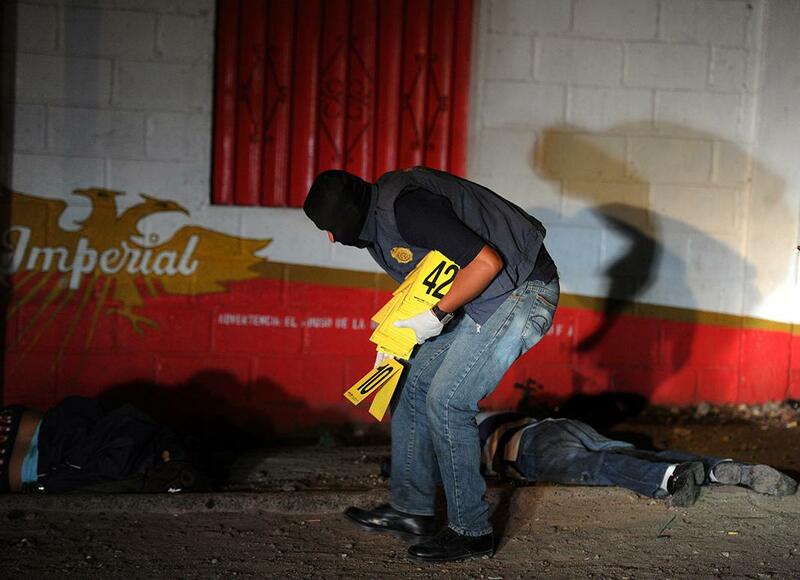 A member of the National Direction Investigation Crime unit collects evidence near bodies at a crime scene where six people were murdered outside a bar in Tegucigalpa, Honduras, on March 7, 2015. The World Health Organization said in December 2014 that there are 103.9 homicides per 100,000 people in Honduras, 15 times the world average. 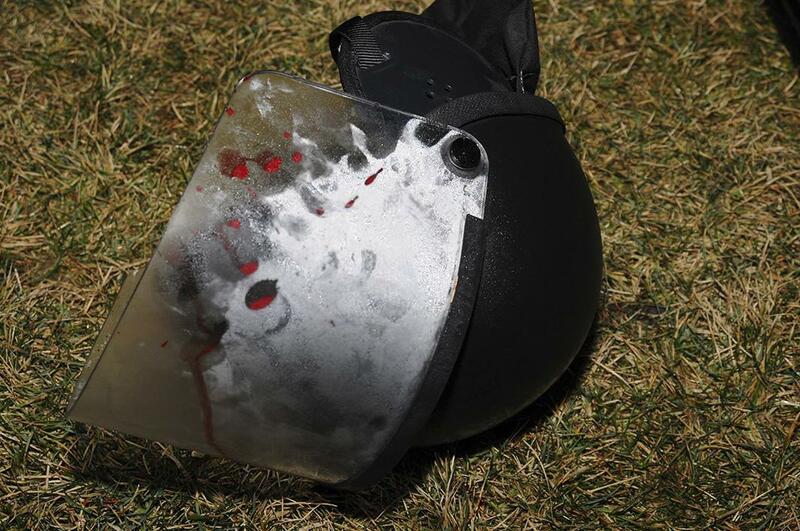 A police photo collected at the scene from the St. Louis County Police Crime Scene Unit shows a police helmet where two officers were shot amid a protest just after midnight in Ferguson, Missouri, on March 12, 2015. 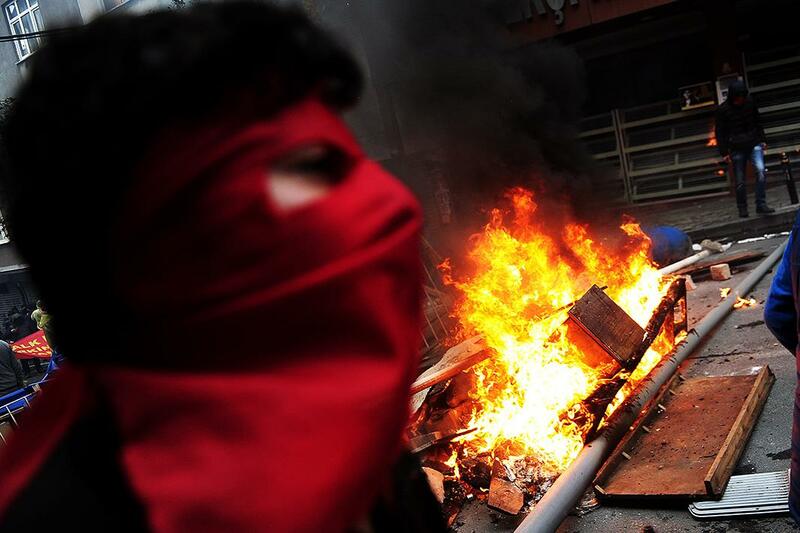 A man wears a mask in front of a barricade on March 11, 2015, in Istanbul, during clashes following a protest in memory of a teenager killed in 2013 anti-government demonstrations and whose death has become a rallying cause for opponents of President Recep Tayyip Erdogan. An internally displaced Afghan child blows bubble gum as children prepare to attend a graduation ceremony organized by the Mobile Mini Circus for Children in Kabul, Afghanistan, on March 11, 2015. The students are exhibiting their art, skills, and achievements onstage in this final day of the program. 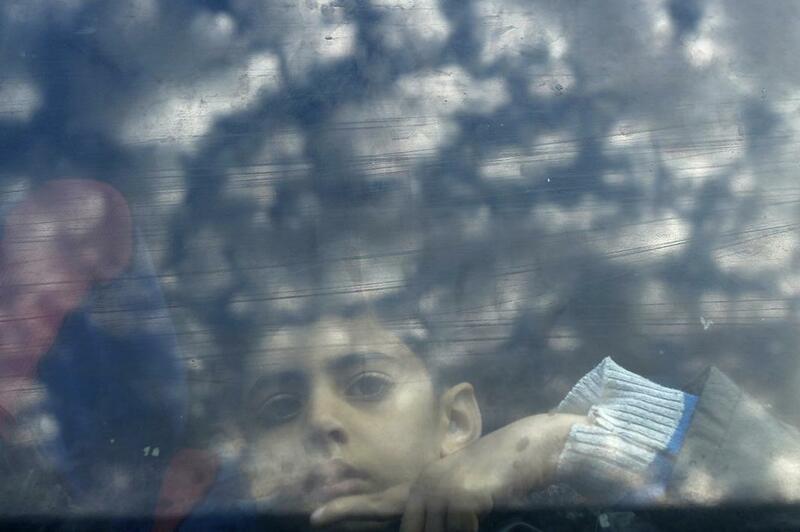 A Palestinian boy looks out a bus window as he waits with his family to cross into Egypt, at the Rafah crossing between Egypt and the southern Gaza Strip, on March 9, 2015. Egypt shut the crossing in October after Islamist militants in Egypt’s adjacent Sinai region killed members of its security forces. Since then, it opened the crossing partially and on a few occasions to allow thousands of Palestinians to travel in and out of the Gaza Strip. 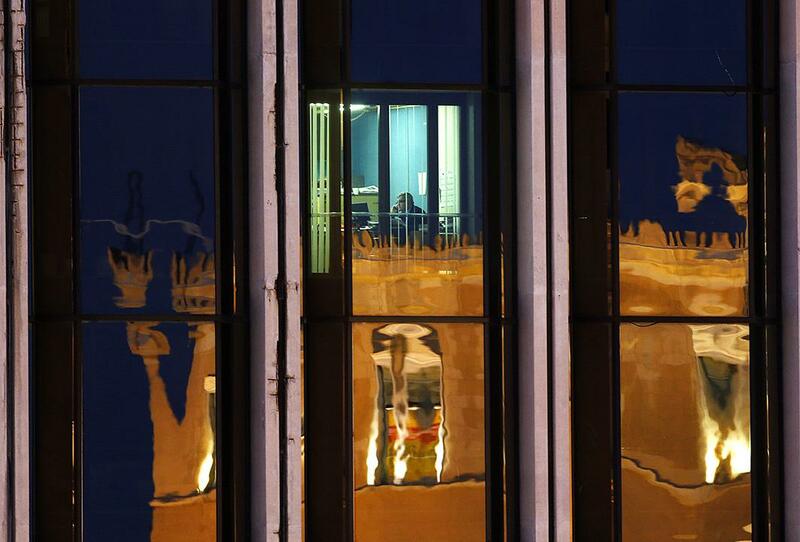 A man talks on the phone in his office at Greece’s Ministry of Foreign Affairs as the Greek parliament is reflected on the building in Athens on March 12, 2015. Greece has promised its lenders to reform its state sector, implement labor reforms such as opening up closed professions, make its economy more competitive, improve its tax administration, and fight tax evasion and corruption, which have been widely blamed for the debt crisis. 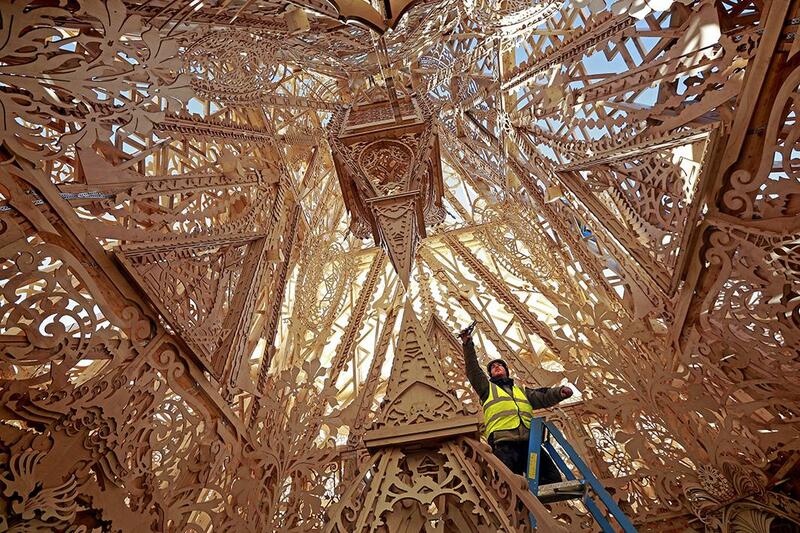 A lighting technician puts the finishing touches on Temple, a structure designed by David Best and assembled by Catholic and Protestant workers along with his team, in Derry-Londonderry, Northern Ireland, on March 13, 2015. For one week, starting March 14, the structure will be open to the public to visit and write memorials, concluding in a bonfire of the Temple.